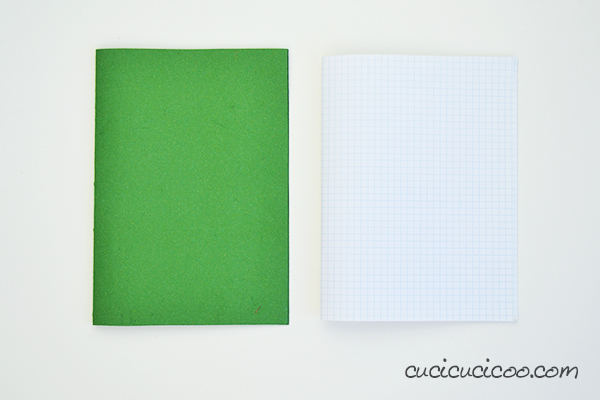 What is it that’s so appealing about a nice, new and never-before-touched blank book or notebook? I suppose it’s the anticipation and excitement about all the things that it can become. You can write a book in it. Draw pictures. Study plants or animals or anything else that you love and keep your notes in it. Glue magazine cuttings in it. 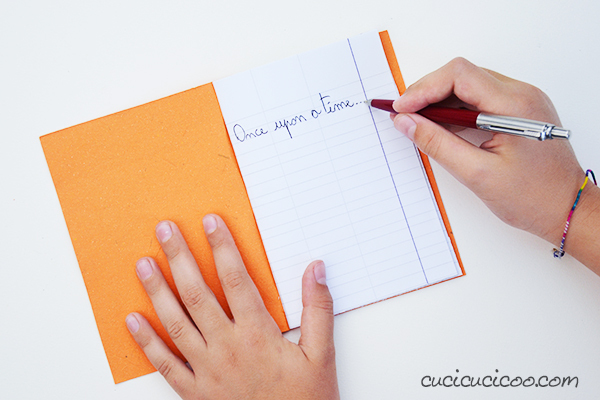 Write a secret diary. There are no limits to your imagination and creativity! 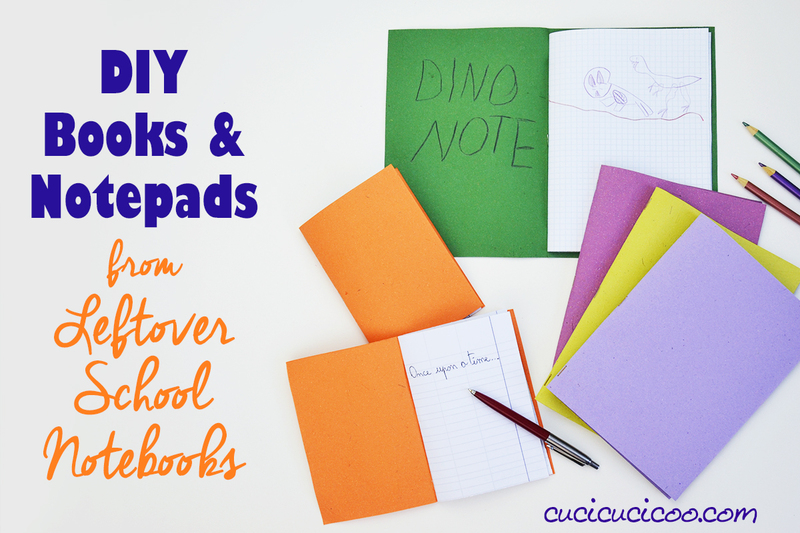 My kids love blank books, too. We have piles of illustrated books, their own made-up school books for their toys, and tomes of secret writings that I’ve been warned to never look in. Even before they knew how to write, they just loved filling up those blank pages with drawings and stickers. Something about the fact that the books had covers made them feel so much more real to them. It’s now the end of May and school will be out soon. And, as always, the kids will come home on the last day of school with a bunch of half-used notebooks. 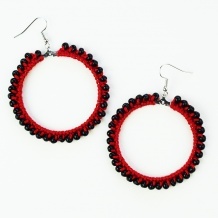 Like this one above. “Read and complete.” Apparently Sofia never did get around to completing this assignment before the end of the year. Normally I just rip out the used pages and give the kids the notebooks with the few remaining pages to draw and write in. But by the time summer vacation comes around, they usually are sick of using those same notebooks that they’ve been using all year round. They don’t want to see the same old covers that remind them of sitting at a desk for hours on end. But if I give them that very notebook paper in a different form, it’s a totally different story. 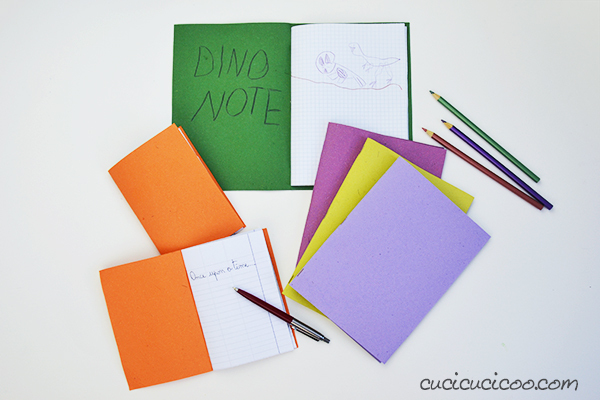 A mini notebook with a pretty colorful cover?! Yes, please! I want to write a story in it! A clean cover and blank pages? Yes! 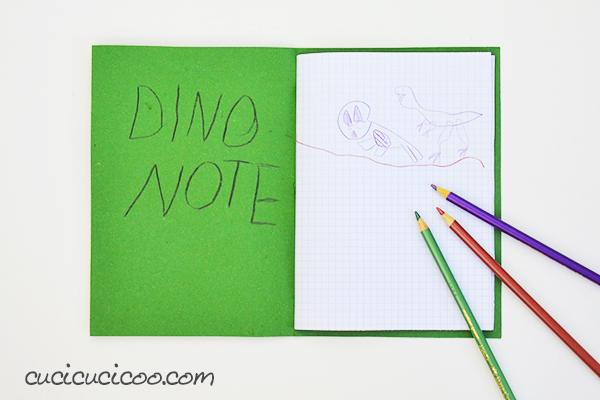 I want a book to draw and write about dinosaurs in! All of a sudden, after a tiring year of studying and writing, they want to study and write again! All because of a new packaging of their usual school materials! And what’s best is that you’re using paper you already have, so it’s free, and it takes less than 5 minutes to make one! So, what do you say? 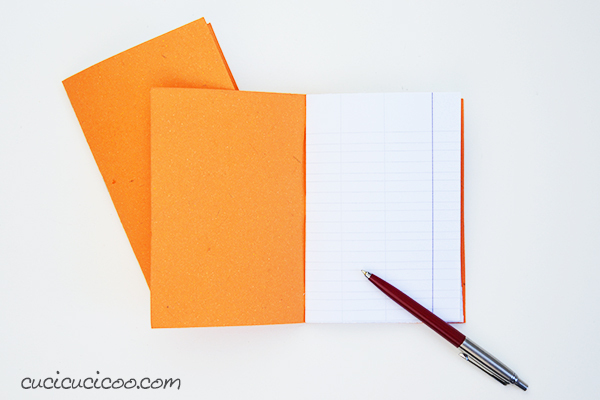 Want to reuse leftover notebook paper to make “brand new” blank books and notepads? Let’s get started! Stapler. It must be a long arm stapler, one with a base that folds back, or one without a base such as those used to tack to bulletin boards. The one I use actually came from a hardware store and is used to stapling materials that are more heavy duty than notebook paper, but I use it all the time for this type of thing. 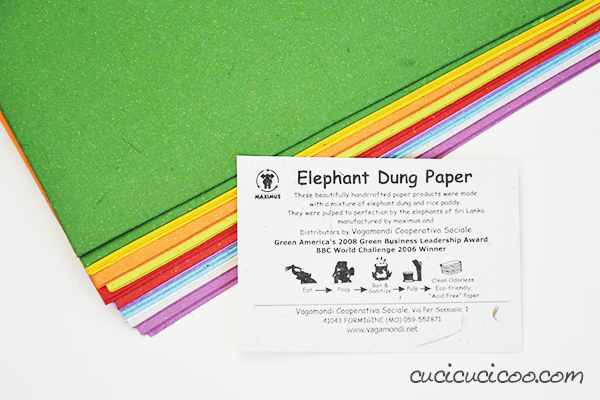 My kids were absolutely thrilled when they saw that I’d used this elephant dung paper for these book covers. I bought it at a fair trade market a month or so ago and they’d been anxiously awaiting the time to use it. Yes, it is not only made from Sri Lankan elephant poop (and rice), but apparently these ingredients were mashed to a pulp by the elephants themselves. 1. Rip out all the blank pages from the notebook, taking care not to rip the pages. Trim the rough edges. I also chose to trim the outer edges to square off the rounded corners. 2. 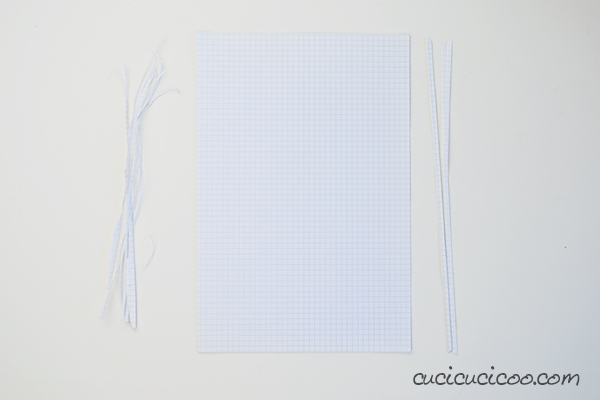 Fold the pages and the cover paper in half. I like to use about 10 pieces of paper, which then become 20 pages when folded, or 40 sides. 3. Place the folded pages inside the folded cover. Fold both shut. If the pages stick out beyond the cover (as shown by the arrows), trim them down. 4. Center the folds all together and hold them in place with clothes pins. 5. Flip the book with the cover up. 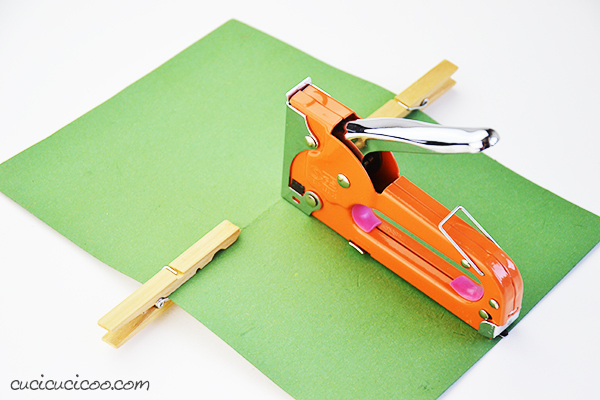 Put the eraser under the center of the fold and staple on top of the fold. The staple will go into the eraser underneath the paper. 7. Flip the book back over. 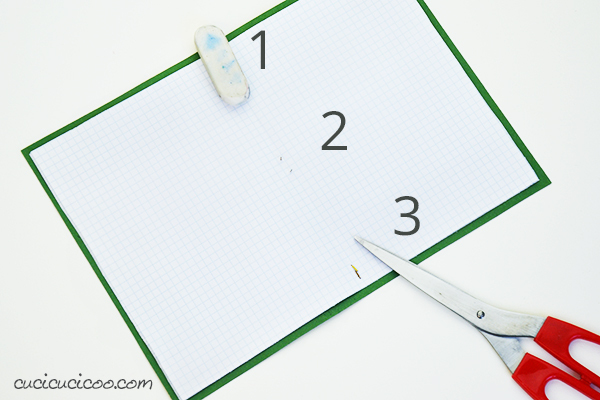 Pull the eraser (#1 above) off of the staple so that the staple ends are sticking up (#2). 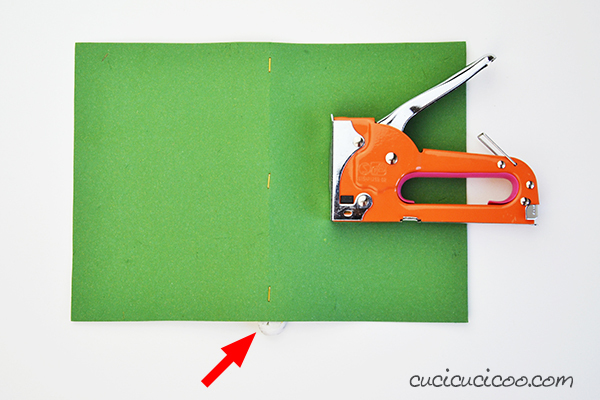 Use the scissors to bend the staple ends over so that they meet each other (#3). And that’s it! 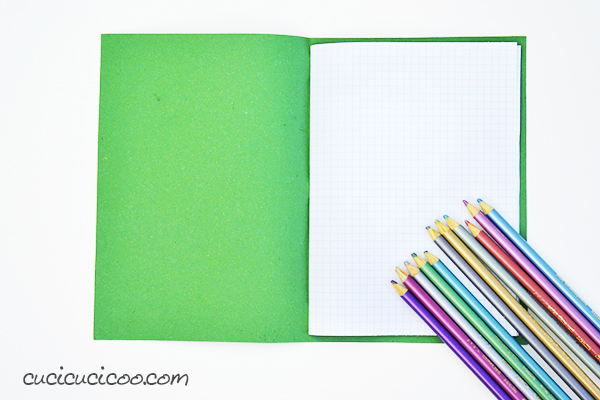 Now grab some drawing and coloring supplies, and start getting creative! It’s a little different when you make one of these books from lined paper. If you were to do it as shown above, the paper would be vertically, not horizontally, lined. And that might make it slightly harder to write on. 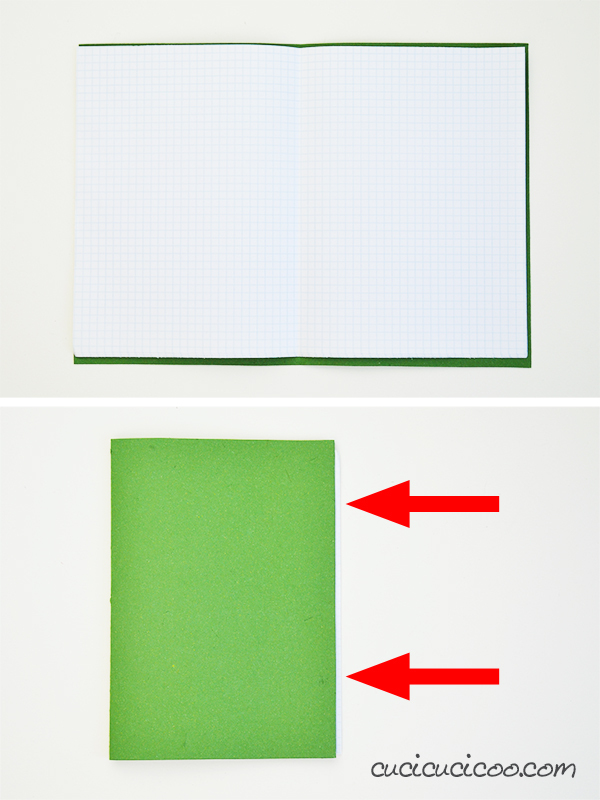 What I suggest is to instead make two smaller notebooks. 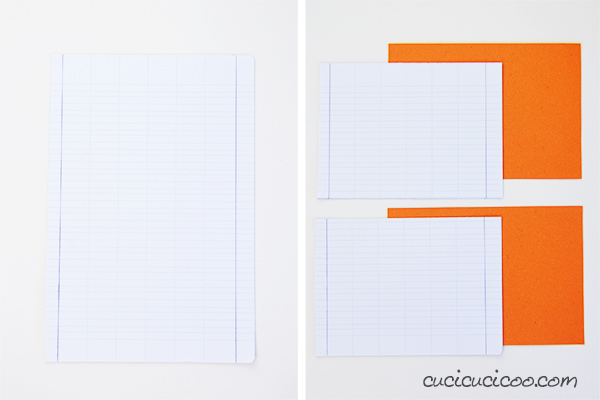 To do this, prepare the notebook paper like in step 1 (left). 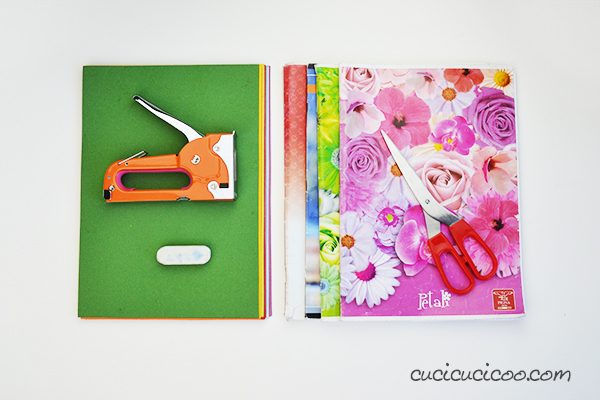 Then cut both the pages and the cover in half (right). 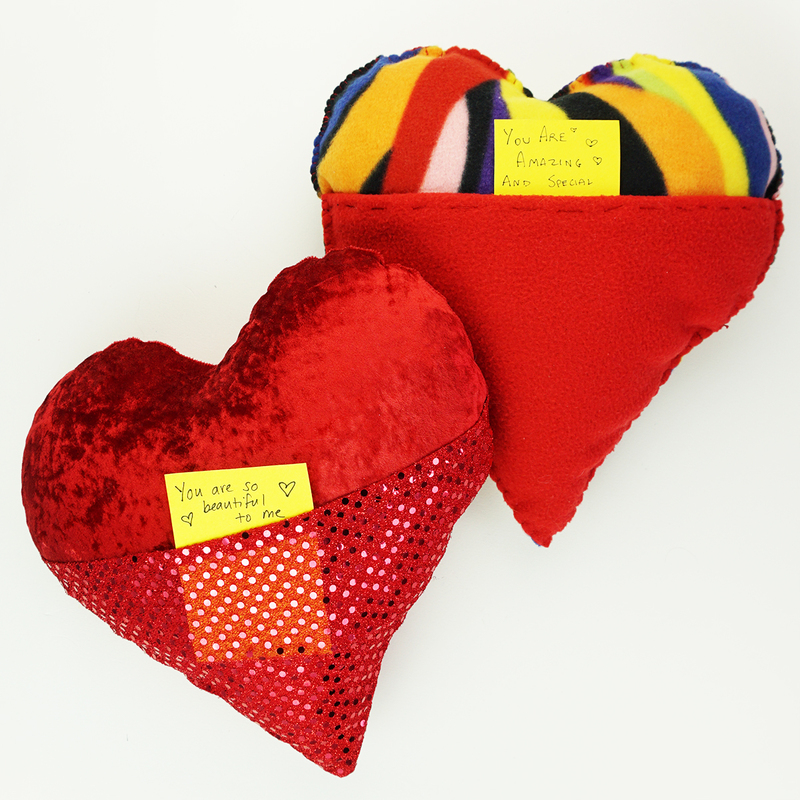 Just continue the rest of the steps, and you’ll end up with two very cute mini-notebooks, perfect for popping in a bag when you’re heading out the door! See how easy that was? And really fast, too! My kids were absolutely thrilled when they saw them and begged me to have one big one and one small one each. Of course I had already been planning on giving them to them, so that was an easy Mama score! Haha! And they immediately got to work in them, too. So not only did I use up leftover paper (saving money and helping the environment), I created them something that they are excited to use with their creative skills, whether it be writing or drawing, or both! Hooray! 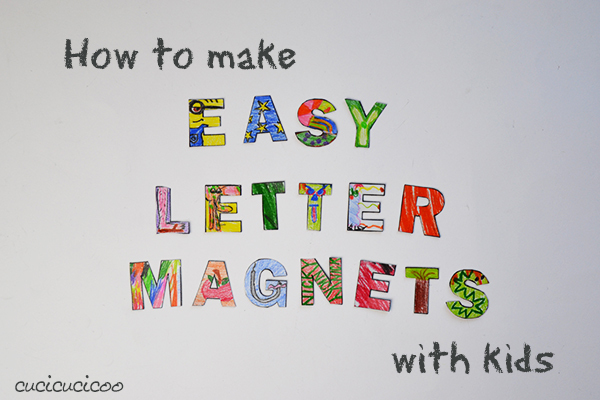 If you want your kids to keep using the language skills they’ve worked on all year in school, why not make some of these DIY letter magnets with them? 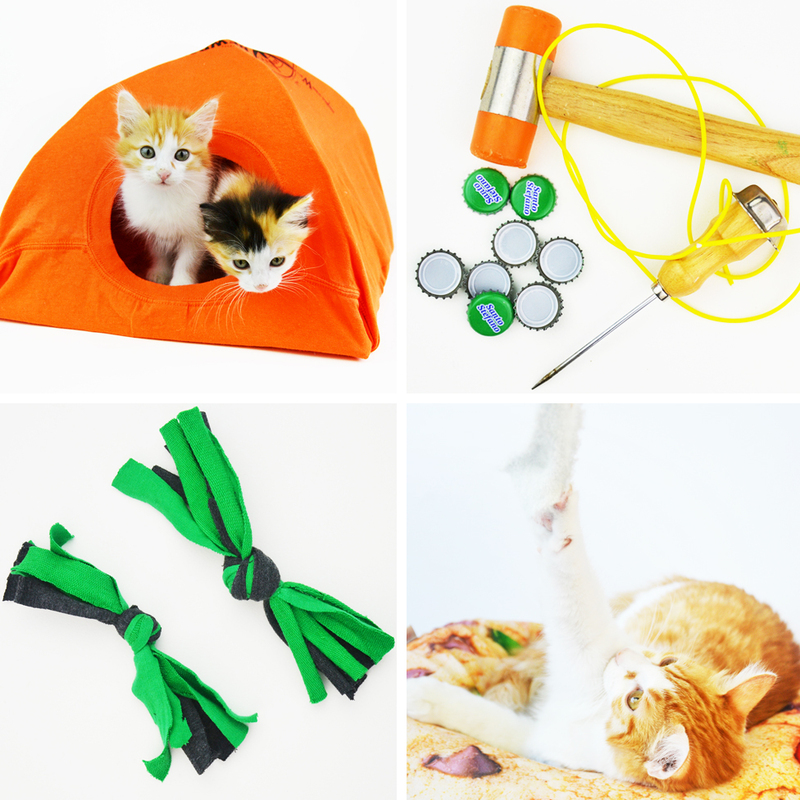 They are so much fun to make and even more to use! 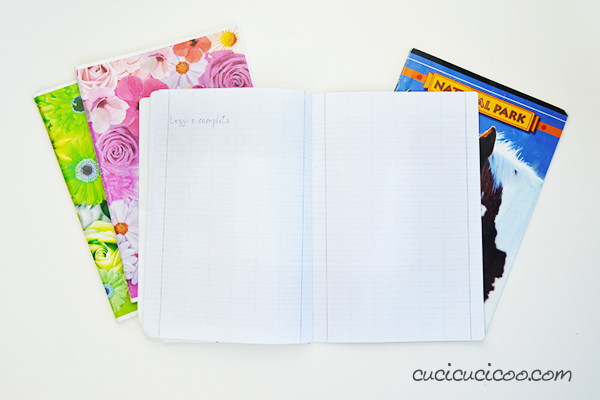 And if you want to reuse leftover notebook paper by making DIY books, don’t forget to Pin the project! Previous articleTutorial: Refashion a sweater into a cardigan in 10 minutes! I don’t know why sometimes the most seemingly obvious ideas are the last to occur to us! Thanks, Vicky! They will definitely have a great summer vacation! 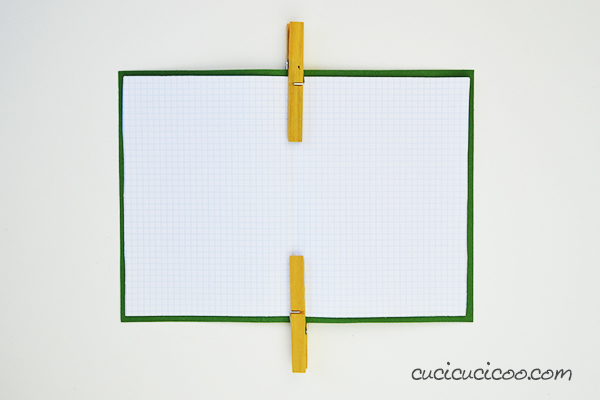 anch’io amo i quaderni,soprattutto quelli riciclati,ne ho in ogni angolo:in borsetta,nei cassetti in cucina e sul tavolo del computer per prendere appunti.Io riciclo come quaderni anche la carta che viene utilizzata per imballaggio all’interno dei cartoni quando si acquista via internet:apro i fogli,li stiro ,li ritaglio a misura e ne faccio dei blocchetti che impilo da utilizzare all’occorrenza. Grazie e alla prossima tua idea. Wow, Daniela, sei bravissima! Non ci avevo pensato di stirare la carta da imballaggio ed usarla così. Che peccato… proprio ieri pomeriggio ne ho messo un sacco nel bidone per riciclare. La tenevo da un sacco di tempo e mi era scattata la mania di dover togliere cose da mezzo e fare ordine. Sarà per la prossima volta! Grazie per la dritta! Avevo due quaderni parzialmente usati che i bimbi non volevano più usare, ho eliminato le pagine già scritte e ne ho fatto due quadernini nuovi seguendo il tuo tutorial. I bimbi ne sono stai proprio contenti! Grazie della bella idea! Che bella cosa, Sara! Non è incredibile come sono contenti i bimbi di una cosa con un packaging diverso? Grazie per questa guida passo passo! Ho preso anche io la graffettatrice!